MAAV distributes information through a variety of sources, including our e-newsletter, web site and social media sites. Palm cards with hotline numbers are placed in various sites throughout the schools and community. MAAV has an information booth at the local Farmer’s Market and Annual Victorian Fair which attracts thousands of visitors to Melrose. Each October, MAAV sponsors an Annual Walk & Candlelight Vigil, “bringing to light” the problem of domestic violence, commemorating the lives of victims and survivors of domestic violence from the previous year, and uniting citizens in taking a stand against violence in our community. 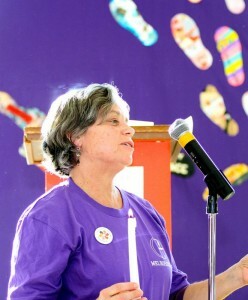 The Walk is MAAV’s signature event and involves over 500 people of all ages. 2014 marked the inception of the Community Coffeehouse, Voices Against Violence. The vision came from two high school students who wanted to use the power of music and the arts to spread the message of healthy relationships and create discussion about teen dating violence. Featuring teens and adult performers, the popular Community Coffee House has become an annual event that combines the talents of the people of Melrose to spread an important message. 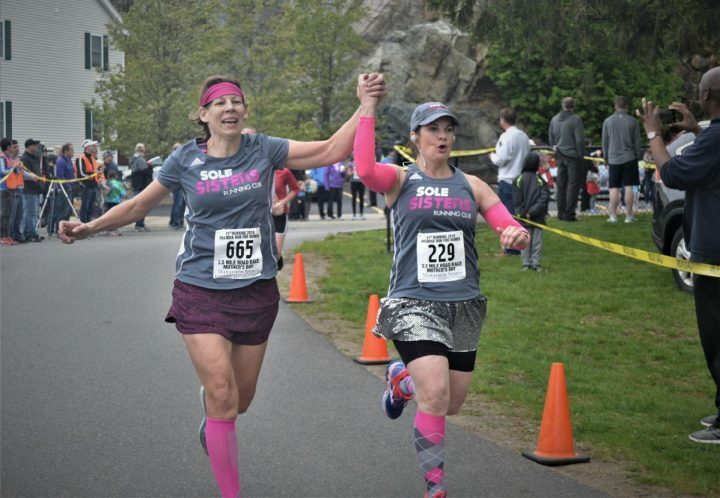 The Melrose Running Club has partnered with Melrose Alliance Against Violence since 1998 to sponsor the Melrose Run for Women annually on Mother’s Day. A portion of the race’s entry fee is donated to MAAV, amounting to over $215,000 total since 1998. The event includes a series of kids’ races as well as the main event – a 3.5 mile run, with awards given to the top mother and grandmother finishing, as well as the top mother-daughter team. The event also features fun activities for kids, baked goods and refreshments, and music, and stands as a celebration for women of all ages.